Wolfsburg / Shanghai / Berlin / New York – When the first Beetle rolled off the production line, it was called simply the Volkswagen — “the people’s car” — but its distinctive shape inspired nicknames across the globe: Beetle, Käfer, Vocho, Coccinelle, Fusca, Maggiolino or 甲壳虫! In total, 21.5 million cars were sold. More than 60 years later, in 1998, the “New Beetle” rekindled the spirit and imagination of the original to a new generation of Volkswagen owners. The second generation version sparked another round of uplifting and joyous enthusiasm known as Beetle Mania. 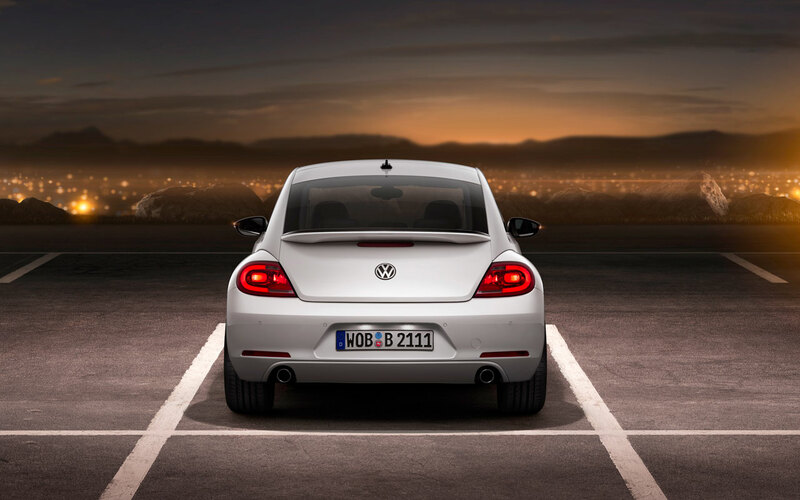 Today, the Beetle opens a new chapter in its remarkable story. The third generation of the internationally beloved Beetle is celebrating a transcontinental world debut simultaneously in Shanghai, Berlin and New York. Only someone who knows and respects the Beetle’s heritage could produce a new generation of this storied vehicle. The task for Volkswagen engineers was clear. They had to develop a modern interpretation of the Beetle, with all the benefits of today’s technologies and efficiencies, and the driving characteristics that define the Volkswagen brand. 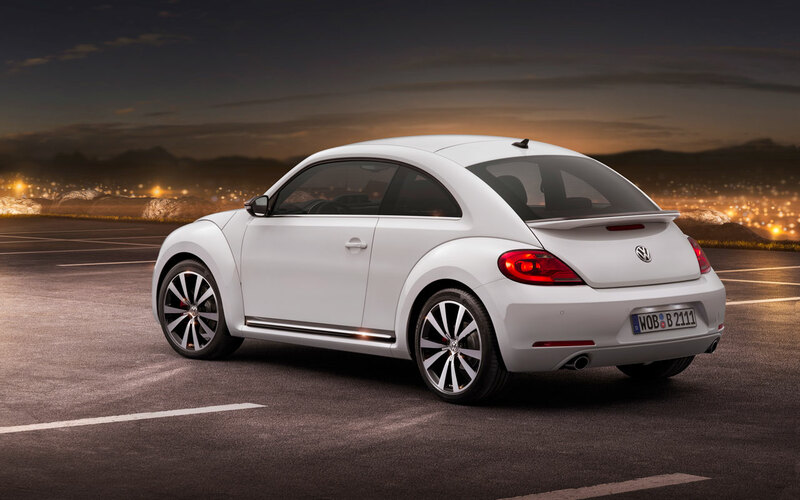 The result had to remain affordable and stay true to the Beetle’s spirit and great heritage. The designers wanted to develop the new car around the earliest Beetle profile rather than the 1998 New Beetle. They wanted a car that respects the past but looks toward the future. And that is what they created. Radio-CD and radio-navigation systems. Standard in the Beetle is the RCD 310 sound system with 8 speakers (includes dual tuner). The premium VIII top audio system is the RCD 510 with integrated CD changer, interface for SD cards and touchscreen. For the first time ever, navigation will be offered in the Beetle, with the RNS 315 featuring a 5-inch touchscreen, CD player and SD card slot. Panoramic roof. The transparent, panoramic tilt/slide glass sunroof is 80 percent larger than on the previous model. The insulating glass blocks 99 percent of UV radiation and 92 percent of heat energy. Fender Premium Audio System. 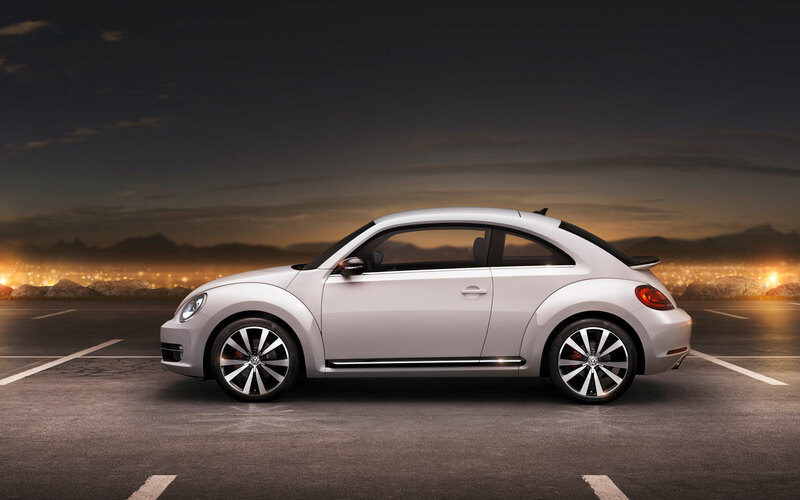 The 2012 Beetle will also offer concert quality sound with an optional Fender Premium Audio System equipped with an additional subwoofer and 400 watts of output power. Embedded in the vehicle design is proprietary Panasonic® speaker technology. The system covers the cabin with directional sound from front door speakers that generate imaging beyond the capabilities of traditional speaker designs. It cuts through the noise and other distractions with front dual voice coil speakers, with extended range for all musical genres. Those choosing this sound system also receive adjustable interior ambiance lighting. Keyless Access. Volkswagen’s automatic keyless entry and starting system, which allows the driver to operate without a door or ignition key,is appearing for the first time in the Beetle. When one of the front door handles is touched, the system detects access authorization from a transmitter, then unlocks the Beetle and starts the engine with the push of a button. BI-XENONTM headlights and LED daytime running lights. For the first time, the Beetle will be offered with Bi-xenon headlights. These will be available on future Beetle models, framing the xenon module on the outer perimeters of the headlights and serving as the daytime running lights and parking lights. The 2012 Beetle features both active and passive safety. It includes Volkswagen’s advanced Intelligent Crash Response System, which initiates automatic safety protection in some types of collisions — the electrical supply to the fuel pump is shut off, the doors unlock and the hazard lights switch on. Electronic Stability Control (ESC) is standard, as are driver and front passenger airbags and Side Curtain Protection® airbags in front and rear. 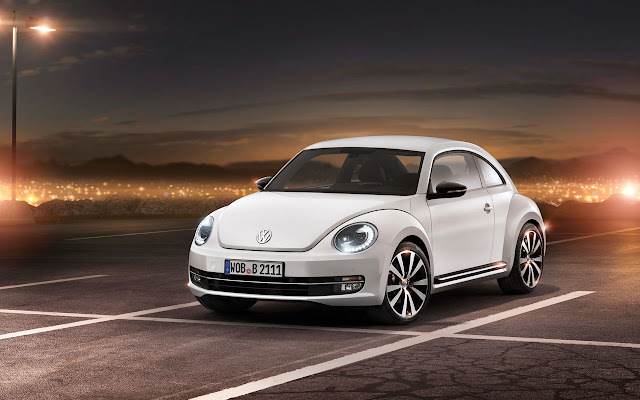 The 21st Century Beetle is also covered under the no-charge Carefree Maintenance Program. All scheduled maintenance is covered for the length of the New Vehicle Warranty – three years or 36,000 miles, whichever occurs first. Additionally, all current Volkswagen vehicles use synthetic oil, which, when combined with state-of-the-art German engineering, eliminates the need for a 5,000 mile oil change, and allows owners to go farther between scheduled oil changes.